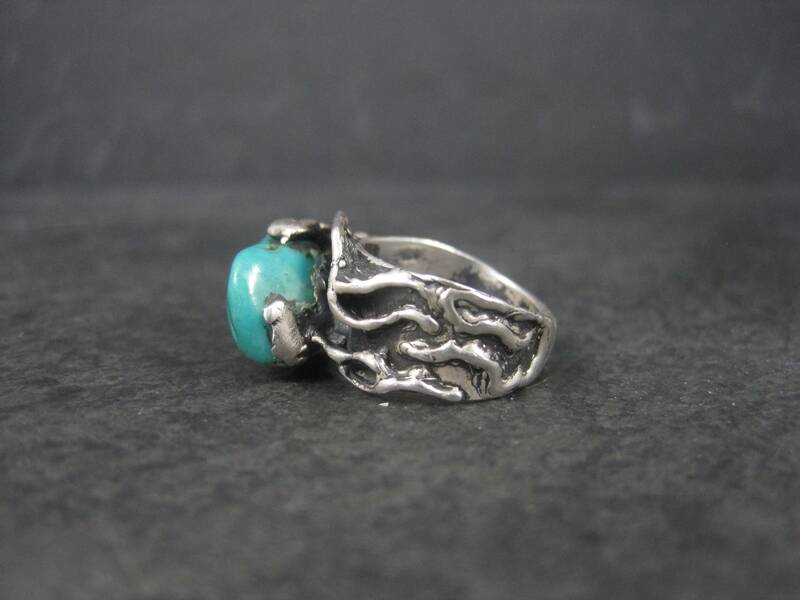 This beautiful and unusual ring is sterling silver. 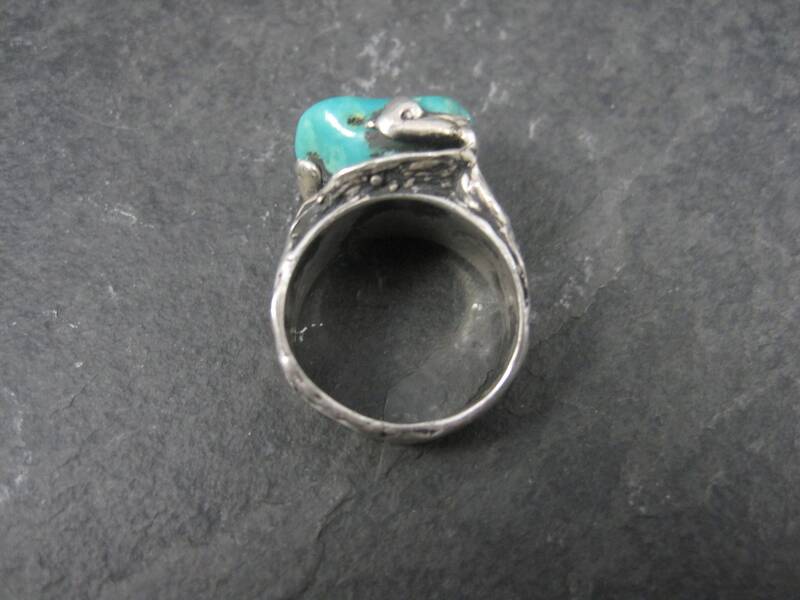 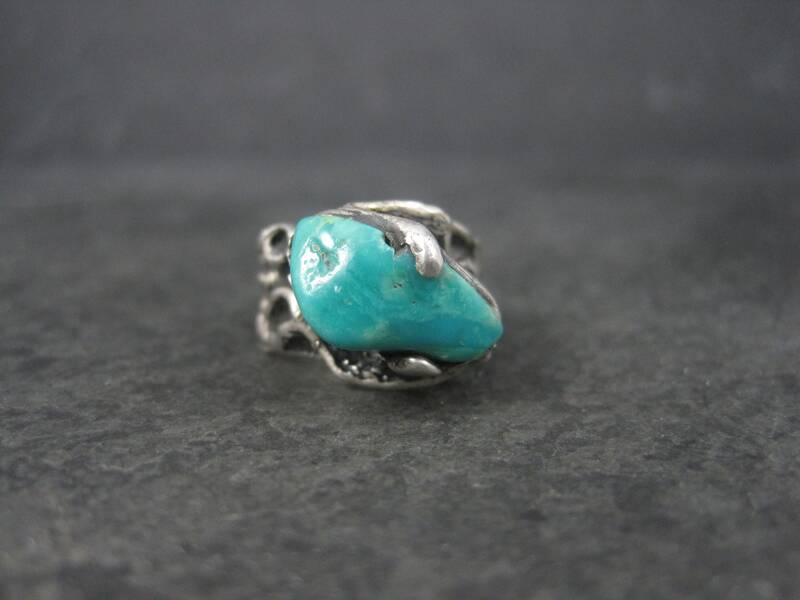 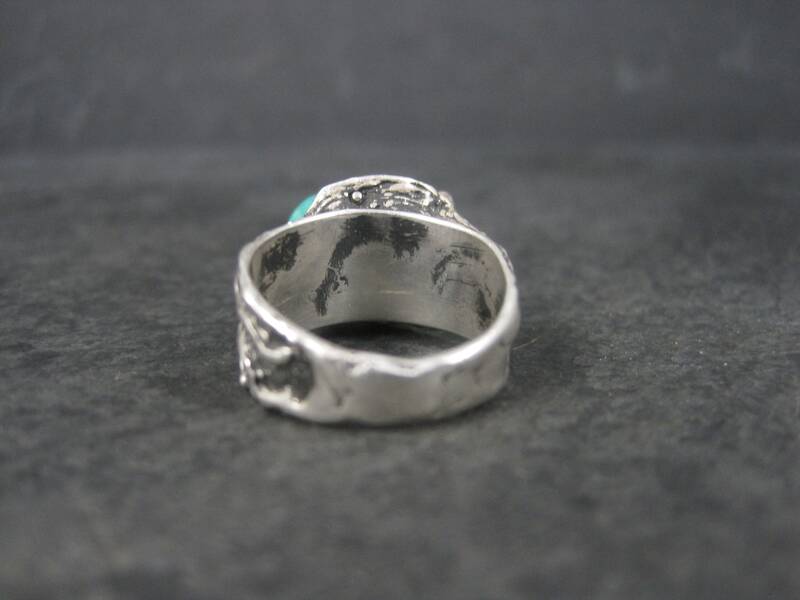 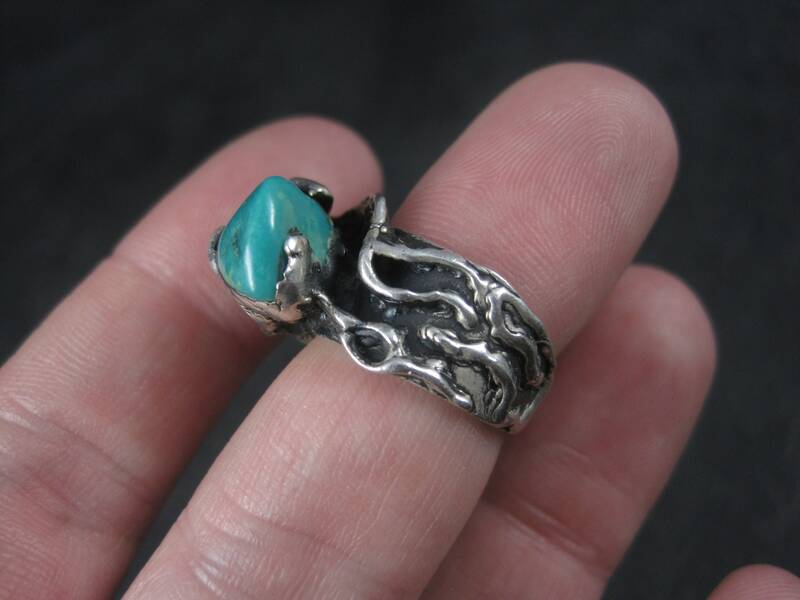 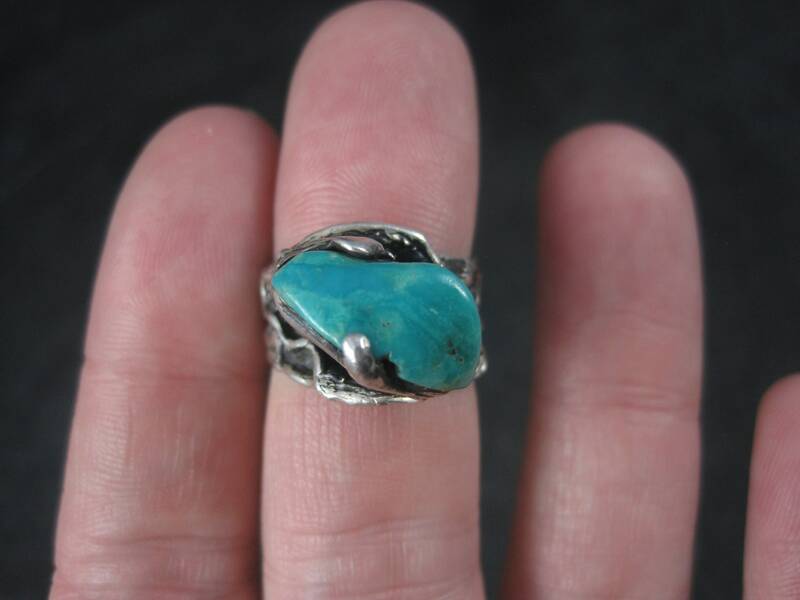 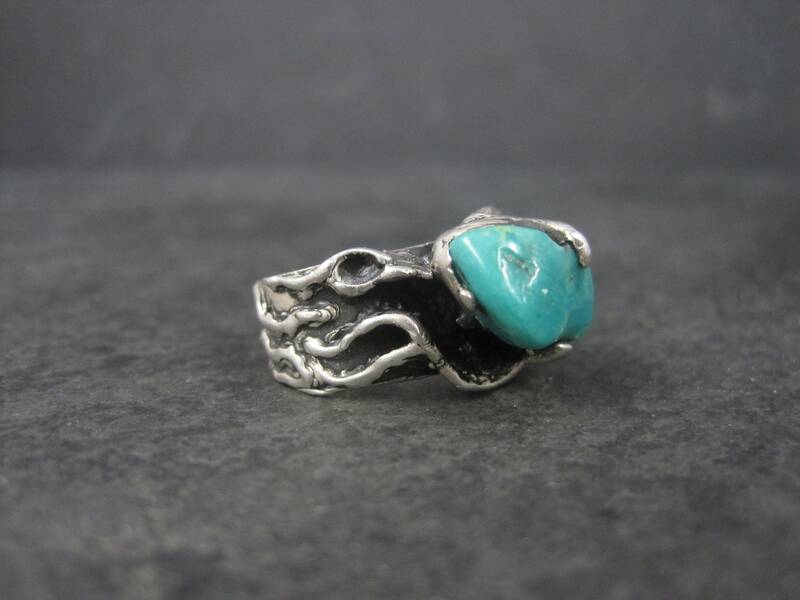 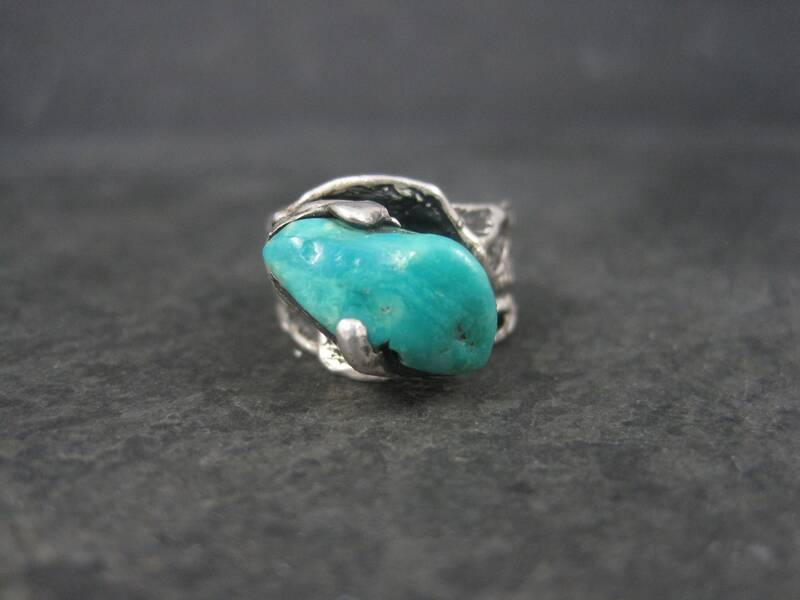 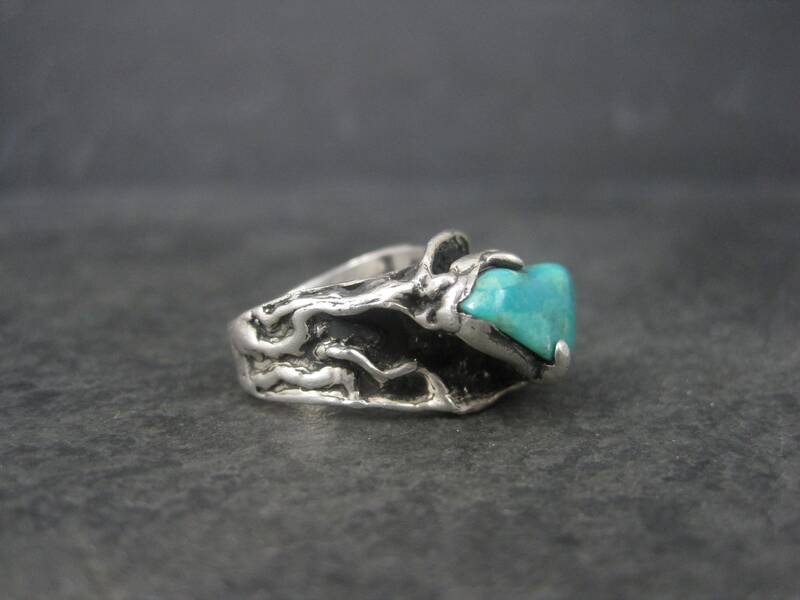 It features a brutalist style setting with a polished turquoise nugget. 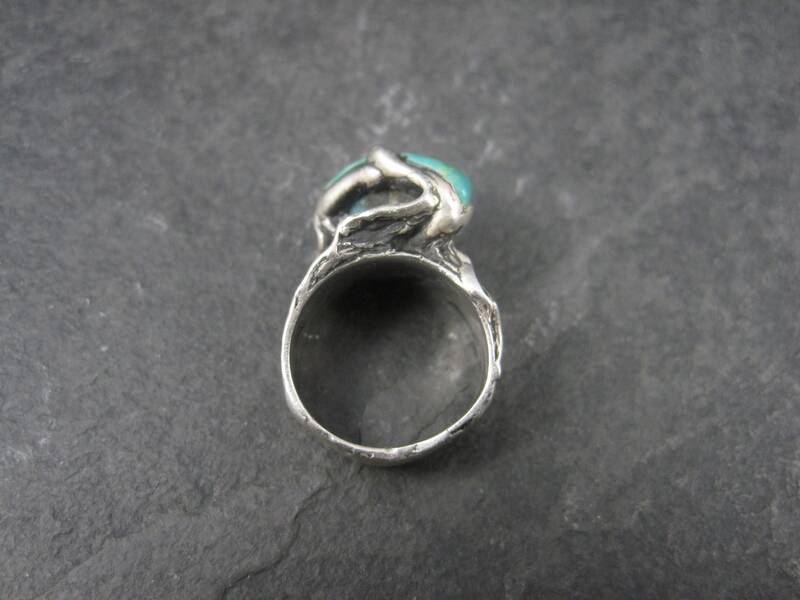 The face of this ring measures 1/2 inch north to south with a rise of 11mm off the finger.